Our team are certified and experienced with the Verint suite of products, and we support this with a level of understanding of the business benefits and possible customer engagement outcomes unparalleled in the NZ marketplace. Our Verint client list includes large utilities, telcos and financial service organisations including NZ’s largest and most sophisticated Verint installation. Because we have this experience and understanding, we can help your organisation “join the dots” linking customer sentiment and experience with your business units, understanding where processes are broken or inefficient and which may lead to increased call demand. Don’t Just Deliver Experiences. Engage. Communication channels have exploded. Do you handle them all? 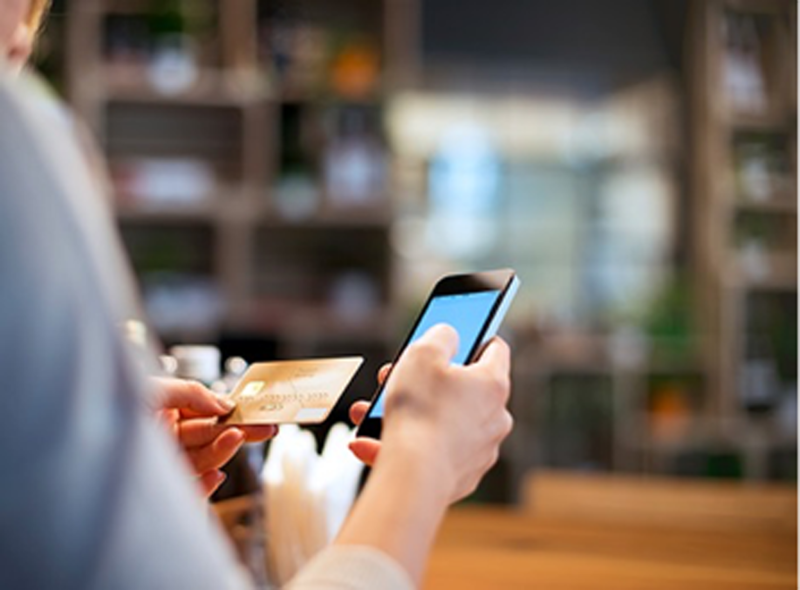 Are your customers’ experiences consistent and excellent across all channels? Consumers are a click away from the competition. How does your customer engagement compare to your competitors? And what are you doing to make service faster, easier, and more personalised? With Verint Customer Engagement Optimisation, you and your customers can achieve better outcomes with less effort and your organisation can enhance loyalty, increase revenue, improve efficiency, and reduce risk. This comprehensive platform for customer engagement optimisation includes proven and unified solutions for customer analytics, omnichannel engagement management and workforce optimisation. Verint Customer Engagement Optimisation delivers Actionable Intelligence about workforce performance, operational efficiency, service processes, interaction quality and ever-changing customer behavior. Armed with these insights, you can be better equipped to deliver consistent, contextual, and personalised experiences that count, no matter which channels customers use to engage. Thousands of organisations around the world rely on Verint to help them enhance loyalty, increase revenue, improve efficiency and reduce risk in theirÂ contact centers, branch operations,Â marketing and customer care and back-office operations. Discover trends and customer intelligence, enhance customer experience and improve omnichannel service processes. Customers choose to engage with organisations via audio, text and video, spanning multiple channels and devices such as phone, mobile, email, chat, surveys and social media. They move from one channel to the other but expect consistent, high-quality service. Each interaction is a treasure trove of insights that is often ignored and organisations struggle to coordinate a cohesive level of service across the different channels. Verint Customer Analytics solutions help organisations capture customer interactions, feedback and journeys across multiple channels; analyse and interpret them in the context of business objectives; and respond more effectively to customer, business, and market demands. With these solutions, organisations can deliver consistent, contextual, and personalised customer experiences while providing insight for enhancing enterprise performance, customer and employee engagement and consumer loyalty. Speech Analytics – for mining recorded calls and identifying customer sentiments and rising trends. Text Analytics – for analysing text-based communications, including email, web chat, and social media. Enterprise Feedback Management – for managing customer and employee feedback programs across mobile, web, IVR, and SMS channels. Engagement Analytics – for analysing and correlating customer interactions and behaviors across channels, by intent or service type, so that organisations can gain a single view of the customer experience, by intent, pinpoint areas of opportunity and deficiency and develop strategies to address them. Identity Authentication and Fraud Detection – for authenticating customers and detecting fraudsters to help reduce agent handle time and enhance security in contact centers. 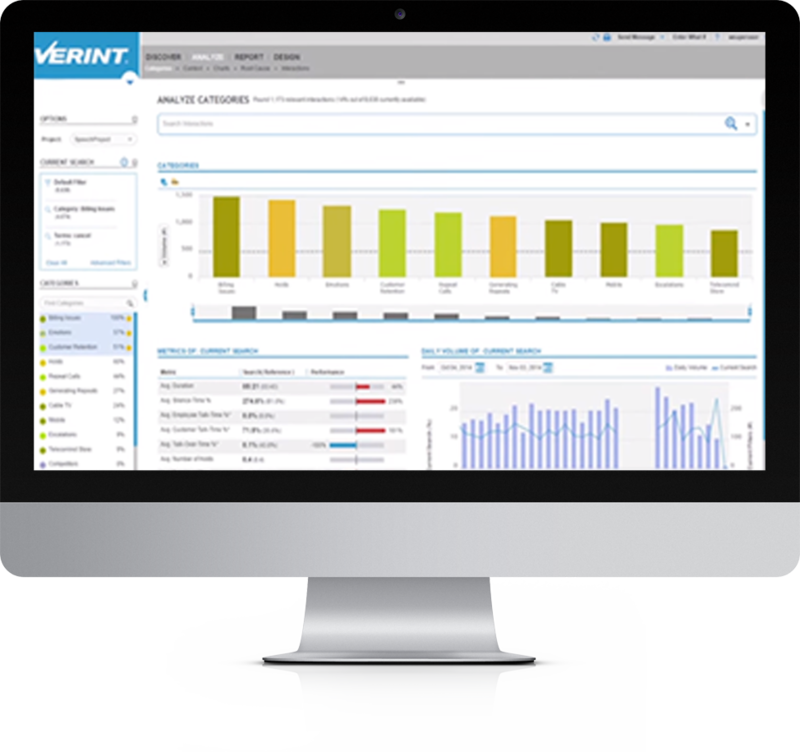 Verint Customer Analytics works in tandem with Verint Workforce Optimisation products such as Compliance Recording, Quality Management, Desktop and Process Analytics, Enterprise Workforce Management and Performance Management. Increase employee and customer satisfaction and engagement, while lowering cost of service delivery. As customer expectations evolve, so must the approach that your organisation takes to deliver service. With interactions taking place across various communications channels and organisational touch points, it no longer makes sense to manage service delivery in functional silos. You need an enterprise approach to customer service, with the ability to manage the employees who are part of the service delivery process, regardless of their department or functional area. Use Actionable Intelligence to make safety, security and compliance part of every customer interaction. One of the most critical aspects of customer service is ensuring that interactions are conducted safely, in compliance with government regulations and industry best practices. Verint offers a variety of Actionable Intelligence solutions to help you put the safety and security of customers’ and employees’ at the heart of your customer engagement optimisation strategies. Verint Banking Security and Fraud Investigation solutions are designed to help banking and financial services organisations enhance investigations, improve risk mitigation for security and safety, and ensure operational security compliance. Verint Enterprise Compliance solutions help organisations mitigate risk by capturing and analysing voice, data, screen and employee desktop interactions; automating sensitive processes; and providing employees with real-time guidance on information and processes that comply with regulations and organisational policies. Verint Trade Surveillance solutions can help financial organisations address a growing list of regulations and standards, including PCI Compliance, Dodd-Frank Act in the United States and MiFID in the United Kingdom. Verint Identity Authentication and Fraud Detection solutions use voice biometrics to verify callers in real time passively, without requiring a password to be spoken. They make authentication faster, easier, and more secure than traditional authentication methods, helping to reduce agent handle time and enhance security in contact centres.